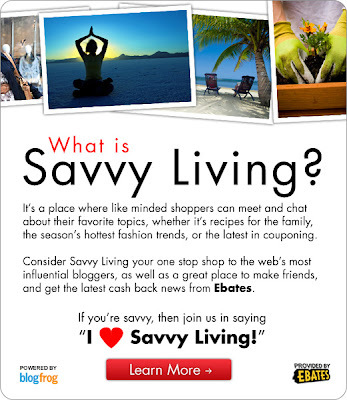 Savvy Experts that specialize in everything from cooking and travel to being a stay-at-home-mom and couponing. Bloggers than want to help you live a more savvy life by offering their expert advice through community discussions, live chats and blog posts. Twenty community leaders instead of only ten. 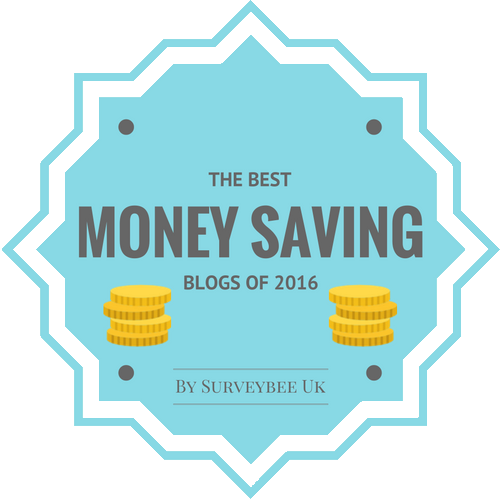 A fun and awesome community of bloggers, blog readers and Ebates lovers. A place to ask questions about all things and get answers from other members and leaders. Advice on saving on your everyday purchases as well as special purchase and making the most of your money by using the benefit of Ebates’ cash back service. A place to make new friends online and off and learn more about what’s going on within other online communities. 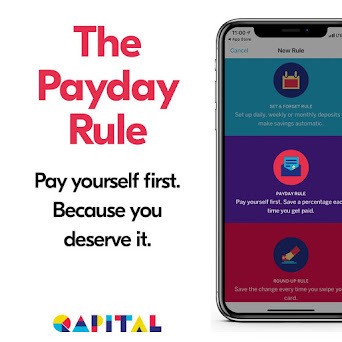 You’ll get tips on saving money, living better, using Ebates and much more! A chance to join in live chats and win prizes. Join me now on the new Savvy Living Community. If you already joined the Frugal Living Community in the past few months, you’re already a member. Ebates and Blog Frog have asked me to come on board as one of their Savvy Travel Experts and help spread the word about this innovative site that combines information and a friendly atmosphere to create the ultimate social networking and shopping site. Thursday, May 5th is the official Launch Party with a live chat starting at 5pm PST/8pm EST and over $1500 in giveaways. Make sure you stop by to say hello and meet the new community leaders. You will also want to RSVP in order to be eligible for those prizes! Are you a member of Ebates yet? If not, you will totally want to do it. Get cash back for any of the stores you shop at that participate in the Ebates program. It's simple! Sign up for FREE and then click through the merchant link on Ebates to track your order and get the specified percentage of cash back after your order has been processed. Then you get your Big Fat Payment each quarter, which can be paid by check or via Paypal. It's like getting extra bonus discounts. Plus, if there are valid promo codes, Ebates will list them for you to copy and use on your purchase. Chose from hundreds of stores, including a long list of online travel merchants! If you just can't wait to get started in the new community, come join in my discussion on saving money on cruising making the most of a cruise vacation! I notice there are a LOT of cruising deals out right now, but they don't ever tell you the "hidden costs" like port fees, taxes, etc. With the costs they don't show, you could end up paying twice as much for the cruise itself and then you have all the extras they make you pay once on board. Some things they don't want to tell you ahead of time: tipping is included, drinks already include 18% gratuity and excursions cost 2-3 times as much through the cruise line than they do if you book on your own. Do you have any other tips? My last blog post covers more ways to save and get the most of your cruise dollars.